For women, finding a pair of walking boots that are both comfortable and fashionable can be quite difficult. A lot of the time women are forced with choosing either comfort or fashion, rather than comfort and fashion. 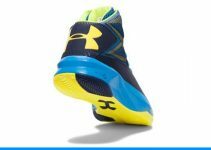 Luckily for us, Amazon.com has managed to find a way to give us the comfortable and fashionable walking boots at a prices that will keep us happy, too. 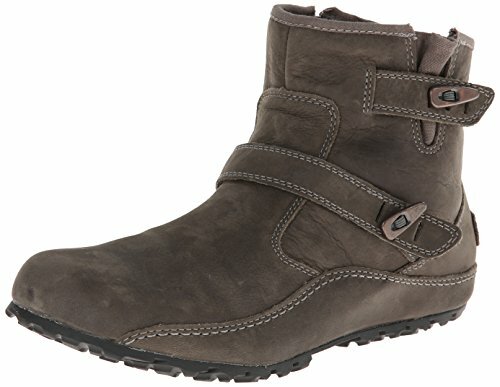 The 69180 Merrell Women’s Haven Duo Waterproof Casual Boots will keep your tootsies warm and dry during the cold, rainy, and snowy months. These waterproof ankle boots allow you to walk comfortably and with ease thanks to the non-slip sole. 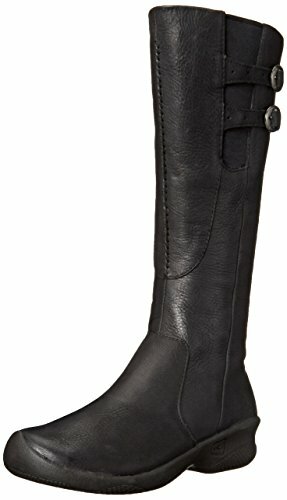 The side zipper allows you to slip this boot on and off easily. Made of waterproof leather and with an art deco strap, the casualness allows the wearer to pair it with jeans, trousers, or casual skirts. New Balance Women’s Walking boot offers comfort whether you are running errands around the city, or if you are going on a nature or fitness hike. 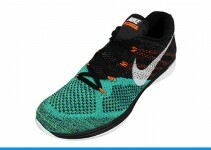 The leather upper is water-resistant with a gusseted tongue. This ankle boot protects your feet with a water-resistant membrane to keep your feet dry and there is an abrasion-resistant overlay on the toe to prevent scuffing. With this walking boot, you get the best of both worlds: a comfortable boot with a beautiful, feminine appeal. 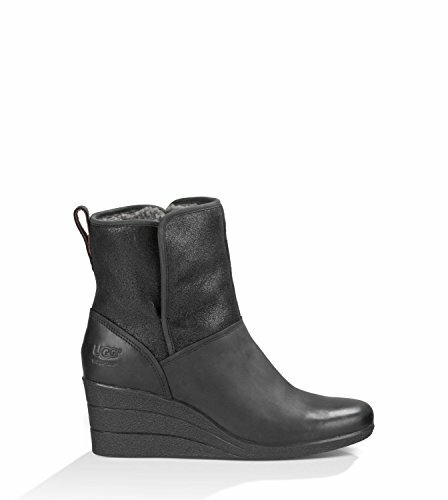 The UGG Australia Women’s Cierra boot is great for women who are looking for a comfortable, classy walking boot that dresses up a casual outfit. Now, to address the obvious. Often times when the name UGG is mentioned, the perception is that the boot is going to be ugly. UGG has come a long way to dispel that theory, and with this particular walking boot, you will be delighted with how attractive it is. This is a tall boot, with the shaft measuring 15.5 inches from the arch. The heel height is definitely not high, but just enough to be casually dressy. These boots are perfect for pairing with boot cut jeans and maxi skirts. They would also look fantastic with your favorite pair of skinny jeans tucked inside the shaft of the boot. The rubber sole adds stability if you are going to be walking on slippery surfaces. Keen’s Bern Baby Bern is a great walking boot for those who are looking for a comfortable walking boot that is all about being casual and great-looking. The front and back whipstitching and buckles give this boot a funky edge that is youthful and edgy on one hand, and classy and sophisticated on the other. These boots are definitely wearable during a light rain and the medial side zipper make getting into and out of them super easy. Pair these boots with any of your favourite casual outfits for a fun day of shopping or hanging out with your friends. 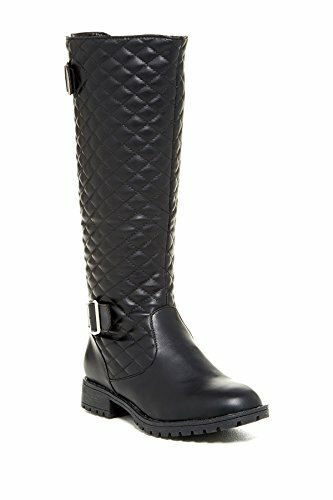 For a great rain boot, check out the Alexis Leroy Warm Winter Women’s Knee High Checkered Boot. This boot features a smooth foot portion. The checkered shaft adds texture and depth to this comfortable and stylish boot. 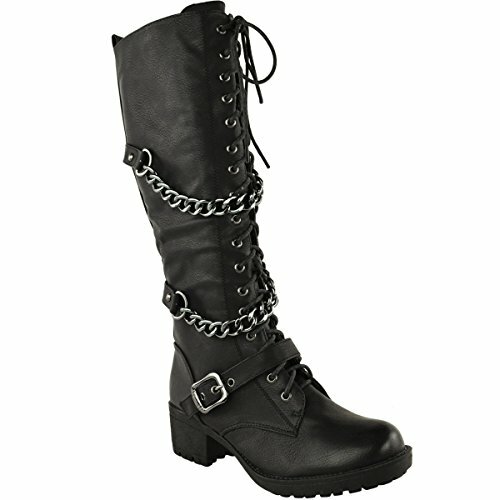 The buckle detailing gives the boot another design layer that is very flattering. Though this is a “rain boot,” the style of it is so great, you just may find yourself wearing these boots on days where there is not a cloud in the sky. 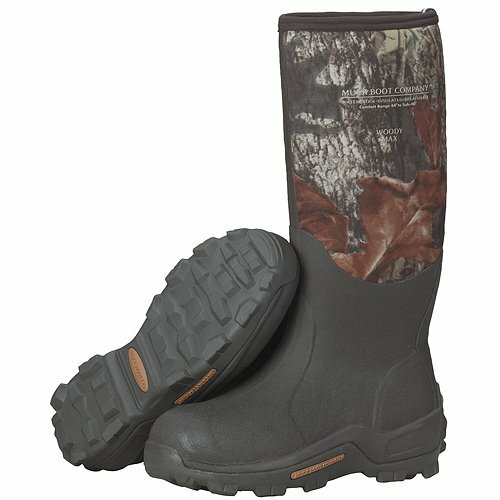 The Original MuckBoots Women’s Woody Max Outdoor Boots are definitely geared for just what the name implies – outdoors. However, all it takes is one look to see that these boots are just outright cute for outdoors, indoors, on-trail, or off-trail. The MuckBoot is specifically designed with a woman’s foot in mind. This boot will keep your feet well-insulated even when temperatures dip as low as -40 degrees Fahrenheit. Certainly, if your love of the great outdoors sees you hiking and hunting, you will definitely be able to enjoy your day comfortably in these boots. If, on the other hand, you just love being stylish and warm in the windy, cold, wintry city, just style these boots with your favourite jeans or long skirt and you’ll be able to deal with the concrete jungle in style and comfort. 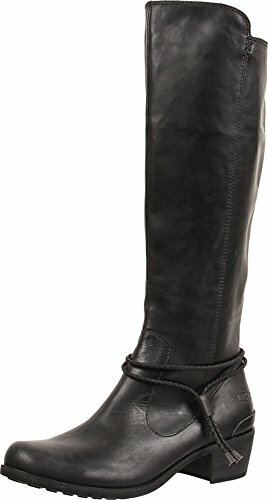 For a look that is totally fun, fresh, and fantastic, take a look at Titan Mall Forever Aura-42 Women’s Back Lace-Up Knee High Winter Boots. These low-heeled, non-slip boots are sure to have your feet feeling happy on cold, wet days. The faux fur accent on these walking boots and the back lace-up design are design elements that will have people complimenting you on your sense of style and fashion. If you are in the market for walking boot that laces in the front, the Carrini Women’s Fashion Tall Lace-Up Boot with Faux Shearling Lining is sure to fit the bill. This stylish and comfortable boot comes in faux suede. 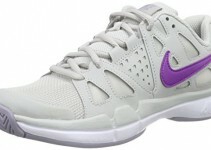 The front lace-up design gives it a fresh, yet classic look. The one inch heel is perfect for pairing with your favorite jeans and skirts and the faux shearling lining will keep your feet warm as you move from point A to point B, C, D, etc. The Renatta Leather Ankle Boot from UGG is a great place to start if you have never worn an ankle boot. It is a wedge heel design, 2 ½ inches tall. The inside is lined with wool. It is waterproof and slip proof. The simple, classic design of the Renatta will coordinate well with just about everything in your wardrobe. For those of us who still love to show the nation that we have rhythm, we can do it easily with Fashion Thirsty Women’s Knee-High Mid-Calf Biker Punk Military Combat Boot. The design elements of these boots work so well together, bringing all of your walking boot dreams to life. These boots are fashioned with a leather strap that goes across the top of the foot. The lace up design is of course a classic. However, two chains give this boot a true rock star appeal that is sure to make the wearer feel every bit the rocker she really is. The boot is made to be comfortable, keep you warm, and your stride sure and steady as you move about your day.